The fledgling company has secured about $150,000 in angel funding from private individuals ‘across the gaming and technology spectrum’, including CFO Greg Diller, and is currently raising a more significant Series A round of financing to gear up for launch. Within Worlize, beginners have point-and-click access to customizable plug-and-play games including puzzle, time management / strategy, card and board games, and MMORGs. 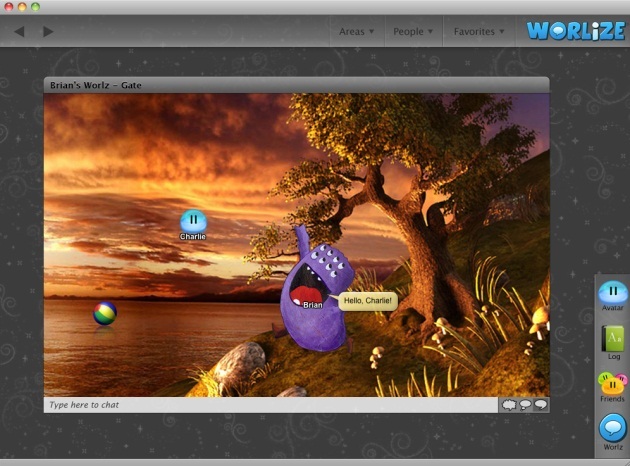 For advanced users and game developers, Worlize will release the Worlize API in late Summer 2010 to allow the creation of highly interactive areas and games within the platform. Worlize was founded by Brian McKelvey, who will serve as the company’s chief exec. McKelvey is said to have designed and deployed applications and casual games for companies like Paramount, Sony Pictures, Lionsgate, TNT, GSN and Live Nation. Recently named CFO and early investor, Greg Diller, brings over thirty years of corporate financial and technology expertise from companies like The Hollywood Reporter to Canon Pictures, and most recently, Metro-Goldwyn-Mayer (MGM).